This little self-published work could be most charitably described as an anthology of material on Kundalini Yoga. Very little of this book was actually written by Gherwal; the majority of the material here consists of long quotes from other authors, notably Arthur Avalon. 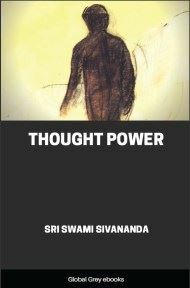 The reason why this book is of interest is the English translation of the Lalita Sahasranama, the 'Thousand Names' of the Goddess. India is the mysterious land chosen as her own by Kundalini, The Mother of the Universe. What we read in old histories and Holy Bibles, and the records, can be seen there today. In India there are Yogis who perform such marvelous feats that Doctors, Scientists and Chemists are unable to solve them, and I may say, are unable to understand them. For instance, such feats, as lying down upon blazing logs of fire; walking over red hot fire that has been especially prepared by burning ten tons of wood,—twenty men walked over this without a burn—not even a hair on their feet; also feats of levitation, walking on water, etc., equally as astonishing. Yogi Haridas, at Lahore, willingly permitted himself to be buried alive for forty days under fifteen feet of earth. After that length of time, he was taken out as normal as ever. Such as that, and standing on one leg for years; head buried in the earth with both legs up in the air for days; living without food for forty years,—these and many other things can be seen in India today. I have received many letters asking: "How can that be done?" The answer is, they always do this through the Kundalini (The Divine Mother) by awakening her from her sleep, for then any one can have supernatural power—this is her gift with unfoldment. By awakening her, seeming miracles can be performed by men and women. The resurrection came as a living faith; see "The Great Masters of the Himalayas"—by the author. In ages past the greatest Avatars, of India—Sri Rama Chandar, Ram Sri, Sri Krishna, King Janak, Yajnavalkya, Guru Nanak, Buddha and countless others. The present day we have Saint Mahatma Gandhi. Not by politics nor by creeds but by the realization of the Goddess Kundalini, remodeling life by pure Wisdom—not by knowledge. This Divine Harmony is not alone for suffering humanity, but for even the smallest insects, animals, etc.